Reggie Reveals Metroid Prime 4 Development Is "Proceeding Well"
Reggie Fils-Aimé provided a brief update about Metroid Prime 4 during an interview with Game Informer at this year's E3. Despite the absence of the highly anticipated game from the main video presentation, Nintendo of America's president said development of the title was making steady progress. Look, we know that our fans love our legacy content. Being in this business 40 years, we know we have a lot of content we can surprise our consumers with. We’re aware of it, and stay tuned. Right now the focus is lets make sure that we give the consumer that wants NES Classic the chance to pick it up again. I believe we’re also going to have a strong holiday with SNES Classic as well. Are you excited about Metroid Prime 4? Would you be interested in more legacy content from Nintendo? Tell us in the comments. But there is no Metroid Prime 5 announcement? Wish the 2D metroid from 3DS could be ported in the mean time. Y'know, I don't really mind the near-silence on this. A date was never given to begin with, and Metroid is a franchise that I want treated with some TLC. This game definitely has a lot to live up to; I played through the entire trilogy last year. The bar is definitely set high. ... Though I wouldn't mind seeing some footage or at least a teaser in the next year or so. Of course it still is in development, it better be! Do we know what team is making it? It's not Retro. @Tyranexx I agree, Metroid Prime trilogy is brilliant. Take your time with it Nintendo, i want it to be as good as it can be, if it can capture even half the magic of the first Prime game it will still be amazing. Yeah, like anyone expected him to say otherwise. That's the game I'm really looking forward to. That's the one!!! They never said when it's gonna be released, but you know, it's always good to have an estimate. "Rest assured, Metroid Prime 4 is still in development"
I love how Reggie says "Look, ...." every time he talks, it's pretty funny. @BlueOcean Namco Bandai are the main developers, I believe. Oh thank you Reggie. For a second there, I thought the game was canned immediately and the Switch would have a short life span. Lol, the article title should've been "Reggie reveals no information"
Just got an NES Classic the other day. Waited outside GameStop and landed one before they all disappear again. @Paraka Gotta go in order. They did the right thing. He made a valid point about how fans would have been questioning why a title was announced for 3DS but nothing for their brand new system. And everyone here knows that's exactly how it would've played out. All it just needs is 60fps. Metroid prides itself on being beautiful yet staying at 60fps except on the 3DS, and the 3DS was filled with 30fps games normally from developers that prioritize 60fps like Mario 3D Land and Kid Icarus: Uprising so that doesn't really count, especially since the Wii U and Switch continued a lot of 60/30fps trends expected from their franchises like Pikmin and Bayonetta. Classic systems have (so far) been revealed sometime after E3, by say... a month? Give or take a few weeks? So, mid-late July, if history repeats. Did he just elude to a big holiday push for the SNES classic? I wonder if that means we won’t see snes games on the Nintendo Switch Online service until they feel the SNES classic has run its course. I'm fine with nothing being shown of Metroid Prime 4, even though it's my most anticipated game for any system right now. I don't need teaser footage from a game that's still quite a ways off. Just knowing it is in fact being developed is enough for me until it gets close to release, and they had a pretty good reason for announcing that when they did. I'm probably in an extreme minority, but I don't care about the mini systems at all. They gave me Switch, the ultimate portable console, then try to sell me retro games that need to be tethered to my TV? No thanks. If I'm going to pay for those games again for the umpteenth time (including the retro systems and carts I already have hooked up to a TV), it's only going to be because they are portable on Switch. @DarthNocturnal Nintendo Direct sometime before Octopath seems realistic. Metroid Prime 4 will probably be a November 2019 release. I can wait, between Smash, Mario Party, and all of the jrpgs I've yet to play/finish. I have a busy gaming schedule. Though, I'd quite like an HD compilation of the Prime trilogy for Switch. Never got around to playing the series all the way through, as I never owned them myself. Would be nice to catch up. It's nearly 5am here, and I've been playing DOOM all over the weekend. 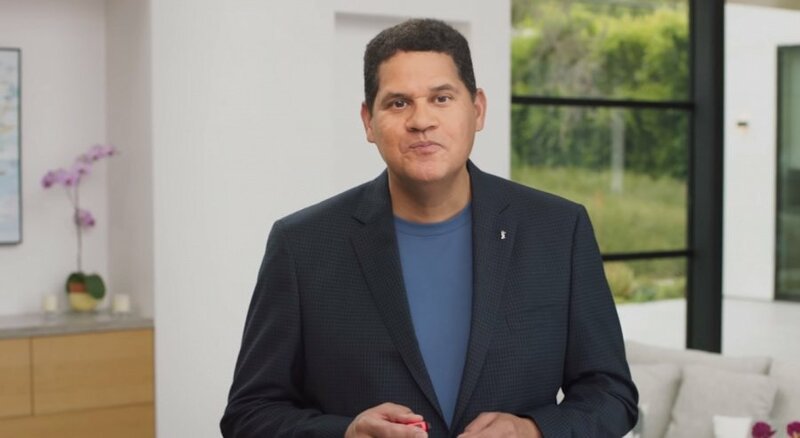 I'm now going to hit the hay knowing that Reggie as usual told us nothing in particular, and that, as usual he's prob waiting on Japan hq to fill him in. God, DOOMs great game, though. Definitely picking up Wolfie 2 now after this. Night/morning all! I absolutely want more legacy content! But I want it on the Switch. I want to take it with me. I don't want more plug and play systems clogging up my TV stand. Give me NES and SNES, N64 and Gamecube classic collections on the Switch. While they are at it, I want a Game Boy and Game Boy Advance selection. They can be either purchasable as collection, individually like VC or through the Switch online service. I don't care which, I will pay regardless. But I want them, legitimately, on my Switch. As for Metroid Prime 4 not being shown at E3, I kind of understand. But I still hold they poorly balanced their video presentation(s). They could have shown other games more, without cutting Smash. It was a pre-recorded Twitch session, there was no real reason it had to be the length it was. They could have had another one and focused more on all those upcoming games, because there are a good few of them. But instead they skimmed over most of them like footnotes. Not a huge fan of the Prime games. Nothing in the series will ever surpass Super Metroid. It's literally a perfect game. This isn’t to say that I want them to rush on Metroid. I never expected it this year. There is plenty to play on Switch, but this year just feels very lacking in first-party releases (until Smash gets here at the very end of the year). I’m hoping for many first-party heavy hitters next year. I feel like the people here didn't read the source article. Reggie makes it sound as though the Switch is the place to be for all legacy content. Much like the Switch replacing the 3DS, people don't seem to be reading between the lines. Although admittedly, there isn't much reading between the lines in that interview, he might as well have blatantly said Switch is getting all of the old games it can get, lol. As for Metroid, I can see why they announced it like they did. Frankly, there would have been insane backlash if they announced it for their old system and not the new one. Reggie :" Look, with water you're gonna get wet !" Reggie :" Look, it can be freezy in winter you know !" Reggie :" Look, I'm the son of my mum and my dad !" Goddddd, that man is awesome ! PS : And please, no Crappy Metroid Prime federation forces or disgusting Metroid Other M, alright Nintendo ? Honestly, I’m fine with how quiet 2018 is, on the Switch front. I believe that it gives many of the games, that would otherwise be swallowed whole by Nintendo’s own franchises, a chance to breathe. Dark Souls is a stellar game that anybody who loves the mechanics of Ocarina of Time shouldn’t pass up (it is a darker, much more difficult game, but it is amazing! ); Wolfenstein II is an awesome display of what Switch is capable of; Octopath looks like a welcome return to the best of Squaresoft’s 16-Bit catalog; South Park is an insanely fun/hilarious game; The World Ends With You was one of the best games on DS; and there are a ton of good/great indie games coming down the pipeline. 2019 is going to be huge , likely surpassing 2017, but 2018 has its share of games. I can wait for Metroid Prime 4 Nintendo has a lot to offer from now to the end of this year can’t wait for November 16th I preordered both versions of Pokémon let’s go. Along with Yoshi and the brand new Pokémon game coming out next year can’t wait to see what else Nintendo has in store for next year as well. @kepsux but Yosho IS a horse!!! Do people think that if they don’t pester companies about their projects that they will somehow forget they were working on them? Let the dev teams do the work, they will give an update when they are farther along in the project. Nintendo doesn’t like to talk about products more than 6-9 months out usually. I suspect that the only reason they gave the splash screen was to aid in keeping a wiiu drop off from happening. Calm down, play some games that are actually out. Reggie seems rather melancholy these days. Don't think he smiled once in the last Direct. Standard PR [removed]. If it was progressing well, we would've seen more on the last E3. Same with that Yoshi game. They never delay games if they're progressing well. Not that it's a problem. Just be patient. People keep forgetting that Reggie doesn't really have any power to reveal anything. He is the boss of Nintendo America but he has so many people above him in Japan. He can only say what they let him say. That's why they have shown the Metroid Prime 4 logo at E3 2017, that they shown the new Yoshi at the same moment, that reggie announced with a teaser/trailer Bayonetta 3 at Fallon's TV show etc...etc...? I would love to see the 3DS Metroid given an HD port over to the Switch in the interim or just anytime really. I want to play thaton a big screen with a controller. I soooo hope they don't mess up with Prime 4. It could go wrong in so many ways. Like making it a multiplayer affair. Please no!! I agree! All the power lays with Nintendo Japan's president and his team of advisers. The president of Nintendo America and Europe are just there to give the company a face in the west! @RETRO_J If he is getting asked whether Switch is still in prodiction, he will say that, yes. That is what he does with statements like this, answering questions unless the answer is still a secret, which it often is. I don't think we'll see another classic mini for a year or two. Just because they have produced 2 recently doesn't mean they want to spill the rest of their legacy in rapid succession - but somehow that's what everyone is suddenly expecting. Did they promise such a thing? My SNES classic is enough games to be playing for years - I never had 21 games for my SNES back in the day so now I'm spoilt for choice. I'm loving some Yoshi's Island right now and will be for quite some time. Maybe we'll see a Gameboy Classic soon (based around the perfect form-factor of the Gameboy Pocket) but I doubt it. In the next Nintendo Direct we will see trailer/ gameplay footage. or else i give chuck norris a call, lol. Nintendo Life recycles a story that is close to a month old and posts it today like it's new. Slow news day, NL? Hmmmmm? That gives us a pretty clear release window between now and never. I'm still hyped about it. @IronMan30 avatar is familiar. Do you know me from elsewhere ? Most of his interviews seems to be clean-up work after the E3 presentation. It's understandable that his hands are tied on how much he can share, but just the fact that he's having to reiterate that games are coming shows how badly received their presentation was. While that is slightly better than "no comment", I still won't get my hopes up too far when we don't even know which team is responsible for the development. Octopath is not Nintendo. So if you're already counting third parties, there really is quite a lot of games coming out. "proceeding well", C'mon anyone who works for a business knows he has to say that. He's not going to come out and say, "we have a delay in "x" development stage and we are bringing in a team of engineers to get through it. Give us another 3 weeks and we'll be back on track." I feel like I'm at work when I hear stuff like that. @NewAdvent I agree the first party lineup that we know of is pretty slim, but there are 3 weeks between Pokemon and Smash, which I wouldn't say is a giant void. 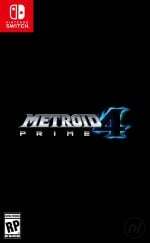 I'd love to see a Switch port of Metroid Prime Trilogy before Prime 4 gets released. I've never played any of the Prime games but the Wii disc is too expensive to get hold of and I don't have enough space on my Wii U for the download. @TossedLlama of course there’s more of us, BOING!? I think it would be more wise on the classic front to work on the Game Boy and the Game Boy Color. The N64 library is very limited, and even now from scratch working up a N64 controller for a mini device would be expensive. The system was multiplayer centric quite a bit, so it would be suicide not to have 2 in the box. Between the games they can't release from Rare and other dead studios and their own, they'd be hard pressed to have 20 of value there, and throw in 2 controllers it would be a $100 mini at least. It would be a harder pill to sell than the last two. A Game Boy though you have hundreds of quality games from any party to pull from to the point you could even make it take expansion multi-carts to just being lame like atgames (and others) and selling added full volume closed devices too. Exactly. I can’t even keep up with all of the games I want to play on Switch! They keep adding more content to Splatoon 2, and the Donkey Kong add on to Mario + Rabbids is supposedly like a new game, in and of itself! Also, Panic Button is set to unveil their next Switch project this month! Sony doesn’t release a new God of War, or Horizon: Zero Dawn (the sales on that game have been phenomenal) every year, which is probably why third parties prosper on their platforms. The fact that Hollow Knight sold through the roof on Switch is an encouraging sign! And I'm pretty sure there will still be a few more surprises that have been cooking under the radar. I grant you most of these may not be million sellers, but they're not little indie titles either. Some of them are pretty big deals. The Switch will be busy this year. EDIT: you did mention a couple of those in your post, my bad! @NewAdvent Hopefully it's just that Nintendo doesn't think Wii U ports are E3 worthy and in the next couple of Directs around 2-3 Wii U ports are announced for the last 4 months of this year. Something like TMS#FE for August, NSMBU + NSLU (or 3D World) for September and XCX for November. Disappointed it was never spoke about at E3 but at the same time I’m happy to wait and get a game done properly. First of all- "N64 Mini is mentioned"? No, it wasn't, at least not by Reggie. It was mentioned by GAMEINFORMER, but Reggie flat out avoided the question entirely, instead talking about the NES and SNES Classics. Come on, why do you people lie for clicks? Do you really need them that badly? Awesome reveal, I really liked his sentence structure. This game is gonna be incredible! @maltloaf No, I guess I just have a familiar face. @grumblevolcano Well, yeah. It's just that people seem to forget that VC is essentially Nintendo Switch Online now. That branding also says more than people seem to think. Well, at least imo it does. Why not call it the Nintendo Online Service if there will be another device from them alongside Switch (at least in Switch's prime)? Then again, re-branding is always possible. Perhaps my pre-coffee rants are wrong and Nintendo will be dumb enough to have two devices when the current one fulfills the handheld and console segments. "Metroid Prime 4 is still in development and proceeding well." ""actually very close to completion""
Because thats what Miyamoto said about Pikmin 4 3 years ago in the summer of 2015. So I guess at least another 3 years for MP4 then? @rjejr That line was much worse, and Nintendo's PR people should've told Miyamoto not to talk anymore about it. Squeenix producers are learning it's a mistake to announce games too soon. Then again, in the information age, it seems like it's never really a good time unless you're releasing a game that day. Next year Metroid Prime 4 + Mini N64?! 2019 is going to be yet another stressful year for my wallet. @IronMan30 "Nintendo's PR people should've told Miyamoto not to talk anymore about it." They did, last year at E3 - 2017 - Miyamoto made a comment saying - PR told me not to talk about Pikmin 4. "I've been told not to share anything about this from PR," Miyamoto laughed, "but I can tell you it is progressing." It's fine to announce a game in advance, as long as you let people know it's in advance. It's also stupid to have a game skip E3 after being shown at an E3, people have expectations that if you show MP4 and Yoshi last year at E3 this year you are going to show more of them. At least Pikmin 4 was never officially announced, it was just Miyamoto speaking off the cuff. The video game industry has to be the only place, besides government, where you can constantly be off by years with your predicted completion date of your project and people actually thank you for it, rather than hold people accountable for being so wrong saying how long it is going to take them to do their job. Can you imagine if a high school teacher told their students - sorry, I know it's June and you want to graduate and I told you the final test was today, but I'm nto done making it, can you come back in September and take it then, you dont' mind missing graduation do you? It's simple, show a game when you have some idea when it will be released. And if you aren't sure when, but you know it is at least 18 months away, say - it's years away. And keep showing it, don't forget about it, that really annoys people. This is common knowledge, it's not a secret. The E3 ND was 47 minutes, 35 minutes for SSBU and 12 minutes for everything else. They could have squeezed in a 2 minute Yoshi and MP 4 trailer that said "2019" at the end. Honestly, I'm glad to see as many people being understanding about MP4 not being discussed at all this year as there are. The early announcement was obviously solely to avoid backlash, not because it was anywhere near to show. I have high hopes for an N64 classic release. I was never a big fan of the system (and yet I have two of them in my home???) however I was very impressed with the emulation of N64 games released on the Wii U so I say bring on a mini console Nintendo. @Cobalt what is your question exactly? I feel Nintendo is the closest to what you are asking for. In general they try for games at E3 with a 6-9 month window and I find that because of that I buy more of their games over ms or sony due to the more immediate releases. I don’t see the point in knowing about a game 3 years in advance and the pestering the company over it. Usually by release I’ve lost interest (except Zelda...but you can sell me a paperbag with the wingcrest on it) when companies do that. Since you are so big on dates how do you survive sony and ms (I think you are a multi system gamer right?) e3? This year was the first in three years that I watched all 3. I usually just read the buzz make note of games I might want and the put that aside until release. I'm not entirely sure why you would worry as a consumer about how many copies a game potentially sells. Was Carnival Games on Wii a "big" game? Because it sold eight million. I'm really digging indie and AA digital releases on Switch. It's a big draw for me. Much more so that AAA ports/multiplats. And we don't actually know with the digital releases whether they've sold a million, unless the developers want to tell us. @Ryu_Niiyama "Nintendo is the closest to what you are asking for. In general they try for games at E3 with a 6-9 month window"
What bothers me about Ntinedo is they flip-flop on this every year. Actually it's not even the flip-flopping, it's their hypocrisy and holier-than-attitude. When Nintneod shows games that are years out like Zelda, MP4 and Pokemon gen 8, it's all about "letting the people know in advance b/c that's the right way to do it". And then when they only show games that are coming out soon it's "Sony and MS are wrong for showing game sin advance, we do it the right way and only show games that are coming out soon". They have no consistency, only visions of grandeur. Whatever they show their way is the right way, and it changes from year to year. They are so full of themselves it's disgusting. Sure, they make a few great games, nobody is going to deny that, but they have issues in almost everything else they do. At least when Iwata was around he got to say "Please understand" 3x every Direct. When's the last time Nintendo said "please understand"? All Nintneod does now is say gamers are needy and whiny and are never happy no matter what Nitneod does. It's almost amazing they still have as many fans as they do. As for MS, I traded in my X1 after about 8 months when I was done playing what I wanted to play. For Sony, I know in advance I'll wait 3 to 6 months to buy a game at half price, so the release date doesn't matter as much b/c I'm not buying anything from them Day 1 anyway. God of War was an exception, I bought it for $48 w/ Amazon Prime, played it for a month, about 40 hours, and traded it in to Gamestop for $39. So it was a $9 rental. But I do know Sony and MS do it to. Scalebound was shown near the X1 launch and took years to be cancelled. Sony showed The Last Guardian on PS3 even though they knew PS3 couldn't run it. Sony has gotten a bit better the past 2 years or so, they don't date anything any more until it's ready. But really I'm sick of the entire industry giving out very unrealistic release dates. Back in 2014 I was waiting for Rainbow Skies which had a release date of 2014, 2015, 2016, 2017, finally came out last week. Dreams was supposed to have a beta in 2016, they couldn't even put out a beta. When the day comes that I stop gaming it won't be b/c I stopped liking games, it will be b/c I just couldn't stand the industry anymore. Delays. DLC. Season passes. The industry is a disaster. I'm happy for N64 fans. I'll be a happy NES fan if I can walk in and grab a mini at the store. In other words, don't expect either this year. @rjejr hmm there is a lot of emotion in that post. I’m not trying to minimize how you feel but it seems you are ascribing actions or motives that aren’t there. When has Nintendo said it was better for how they do their pr windows? (Honest question) I’d say barring breath of the wild Nintendo has been fairly consistent for about 4-5 years in how they do the directs and e3: narrow launch window focus, a few hooks to keep wiiu 2.0 from happening and a deep dive at e3 on one game maybe two if you count treehouse focus. I want to respond to your reply but there seems to be a lot of hyperbole that I am having issues navigating. @sixrings why not a 2D Metroid collection on Switch as well? It could feature all of them and still fit a small card I bet. My mom throw away my RE4 edition Gamecube . I don't see any point of a N64 or GC mini though. Just bring their library to the Switch. The N64 Classic Edition should feature 19 N64 games including: Super Mario 64, Mario Kart 64, Kirby 64, Super Smash Bros., Mario Party 3, Paper Mario, Wave Race, Excitebike 64, 1080 Snowboarding, Dr. Mario 64, Donkey Kong 64, Poke'mon Puzzle Leaue, Poke'mon Snap, Sin and Punishment, Star Fox 64, Pilotwings 64,, F-Zero X, The Legend of Zelda: Ocarina of Time, & The Legend of Zelda: Majora's Mask. I doubt Nintendo would include Hey You Pikachu!, Poke'mon Stadium 1 & 2, or Mario Golf & Tennis due to Transfer Pak issues. I also don't see any reason to include the other Mario Party games. Now, Nintendo had games from Square, Capcom, Konami, Taito, Namco, Tecmo, & Technos so I can imagine we would get the following games: Bust-A-Move 2: Arcade Edition from Taito, CastleVania & CastleVania: Legacy of Darkness from Konami, Mega Man 64 from Capcom, and Ridge Racer 64 from Namco equalling 24 games total. Sure, Resident Evil 2 would be nice, but there's no way any M rated game would be included. I personally think Nintendo should release a NES 2 Classic Edition featuring 30 more NES games consisting of: Donkey Kong 3, Pinball, Clu Clu Land, Wrecking Crew, Super Dodge Ball, Double Dragon III, Yoshi's Cookie, Wario's Woods, Star Tropics 2, CastleVania III, Ninja Gaiden II, Ninja Gaiden III, Strider, Bionic Commando, Mega Man III, Power Blade, Power Blade II, Ms. Pac-Man, Dragon Warrior, Rygar, Mappy, 1942, Mighty Bomb Jack, Kung Fu, Urban Champion, Rad Racer, Pro Wrestling, Donkey Kong Jr. Math, NES Open Tournament Golf, & Rad Racer II. Do Prime 4 justice Nintendo.... we don't want a repeat of Metroid: Other M.... no.... not that. @Ryu_Niiyama Sorry I haven't replied yet, it's going to take me awhile to dig up all of the references you asked for and I haven't had the time. Here's one. @rjejr lol you don’t have to break your back digging. I did read the article thank you for the link. I suppose that could be considered a PR misstep but the article frames his qutoes as experation more than anything. He did describe an accurate situation though... if a spade is offended for being called a spade (happens all the time I know) then not much anyone can do. I am biased because I am not a fan of the information gluttony and pure insatiable and petulant attitude of adult gamers ( face it the kids whine but they go play something. Adults wax on till the end of time how bad a hobby/company is when at that point the answer may be to move on) myself. In an attempt to see both sides I can see how that is off putting. I remember when the wii came out and after a few months gamestop had to put a reminder to remain patient with those asking about a wii. Even though the company had warned of the shortage and advised preorders (I preordered and got mine launch day and employees at my store were given lower priority for orders so nobody would horde anything) and many of those people hung around the store till UPS showed or called every hour. I learned a lot about patience that season. I get that not everyone is a multi system gamer or that they don’t always like a wide range of genres which can make releases “barren” if you have no interest. I get and advocate that it is a consumer’s interest only to consume products and not care nor give sympathy for how a product is made. Taken to its worst extreme that nets constant complaints and whining because then needs can’t be met. However NO company has the perfect product (that includes marketing/pr) and any company that tries to is gonna bankrupt themselves and consumers will move on. Nobody wins but the customer....technically. As there will always be something to consume, just not the thing that was destroyed. So I suppose your viewpoint based upon how you feel the release schedule should be run and your personal offense to Nintendo’s attitude puts you in a spot. I am a proponent of positive ki and doing what causes the least amount of stress. My brother sits out a gen to let the drama or releases pass him by. Perhaps you could try that? That way when you jump in... everything is out. Unless you are a bleeding edge consumer. Your discontent will never end then. @Ryu_Niiyama "Your discontent will never end then"
Sadly no, it won't. I've already spent hours this morning b/c a game that was listed the past month for $17.99 released today at $19.99. It's nut my reactions to things sometimes. Certainly not good for my mental health or physical well being. Not sure what to do about it though. Might go back to tai chi. On the bright side something that used to bother me for 3 days now only bothers me for 3 hours, so I have that going for me. Baby steps. @rjejr ooh tai chi. Been meaning to get back into that and yoga...I've been a bundle of nerves for about six months now. It's messing with my positive ki. @Ryu_Niiyama "It's messing with my positive ki." You should "ignore" me, I'm a nutcase downer. Me and about half the other people on here. Nintendo has recovered better from Wii U than the NL comments section has. @rjejr LOL I've never seen anything wrong with your posts. If it isn't a convo I want to weigh in on I move on. My ignore list is full of trolls, jerks, sexist loons and the rando person whose posts I can't decipher (I hate doing the last one but for my sanity I must). At least you explain why you feel a certain way. That promotes conversation...I am totally cool with that. Plus I think I'm trying to snag your "get off my lawn" award. @Ryu_Niiyama "LOL I've never seen anything wrong with your posts." Does replying 11 days later count as wrong? Been enjoying the summer weather, replies have taken a back seat. Still have 2 more of yours to go, then it's time for ice cream. Nothing has been revealed or has happened yet.